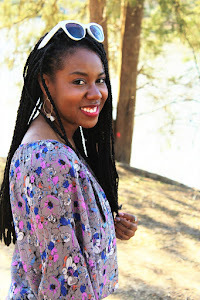 It's Good Friday so I had the day off and I thought why not do a fun DIY project for Easter?! 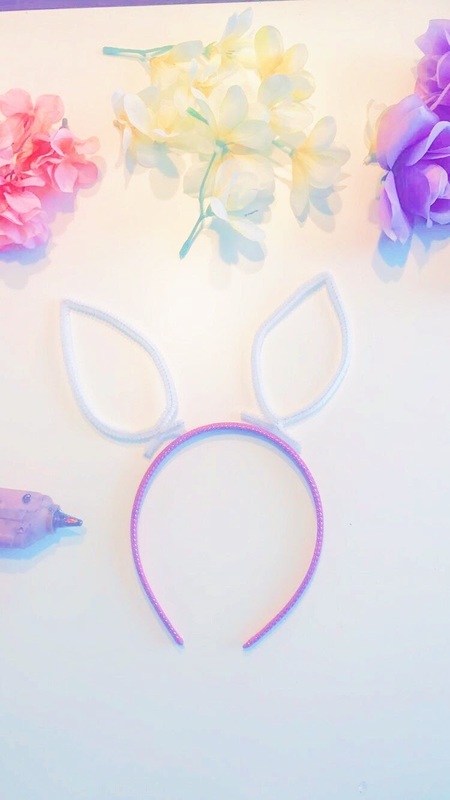 I love Bunny Ears, and they're pretty easy to find this time of year (with Easter and all!) 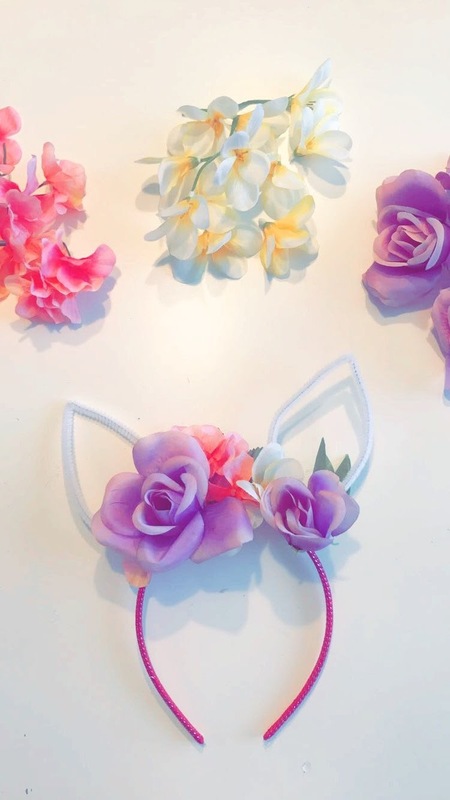 but they all look the same, so I decided to spruce them up a bit by combining them with the ever popular head accessory of the spring: Flower Crowns! 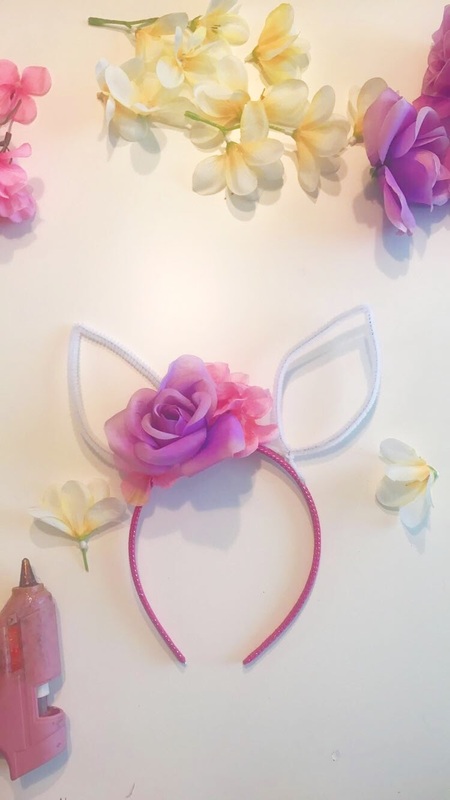 These floral bunny ears are so easy to make, and it cost me less than $5 to make 6 of them because I purchased all my supplies from my local Dollar Tree! 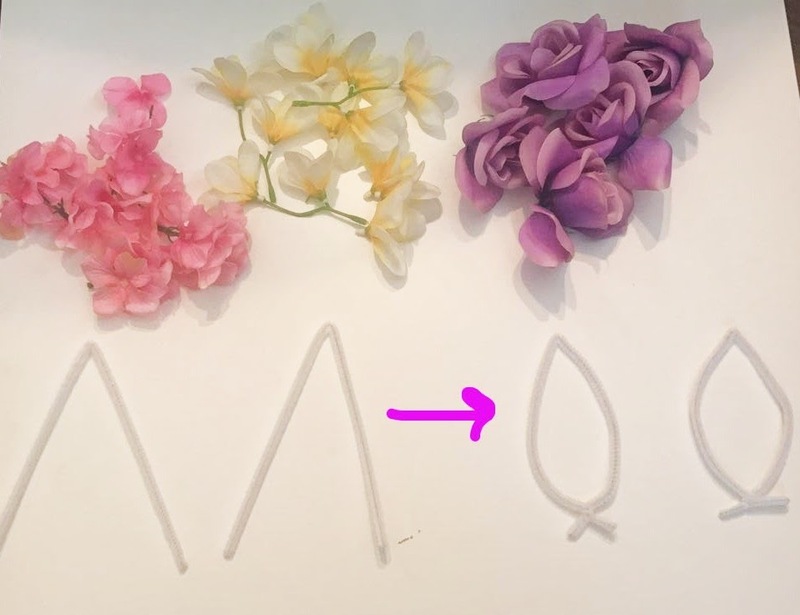 Step 1: Fold Piper Cleaners in half to form a "triangle", then twist bottoms and form "Bunny Ears"
Quick and simple in 3 Easy steps! Hope you all try out this fun little DIY! I wore them to work the next day and got so many compliments! I loved telling people that I made them myself! Have a great Easter filled with Happiness, Joy and Gloss!